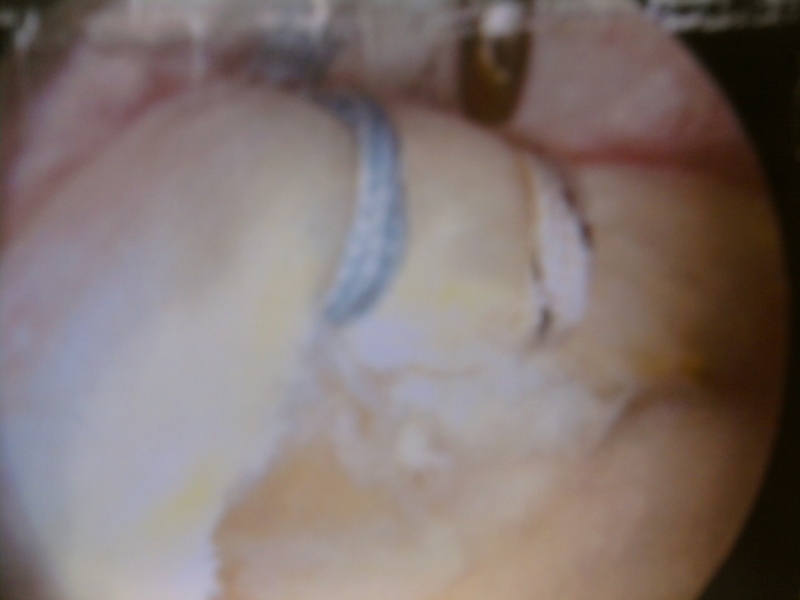 Hipper Snapper- My Hip Blog: Surgery Photo! Here is the best of the surgery photos. This shows the 2 pushlock anchors that were used inside my hip joint to fix the labral tear and torn cartilage (Chondral delamination injury). I also had the lovely microfracture technique performed. Are you a Hipper Snapper?